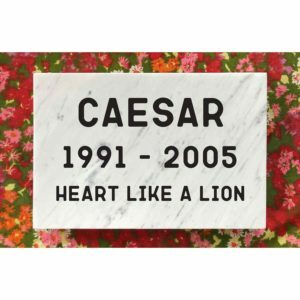 This 6″ x 4″ x 1/4″ slate tile memorial will hold up to two lines of text and the silhouette of a small animal. 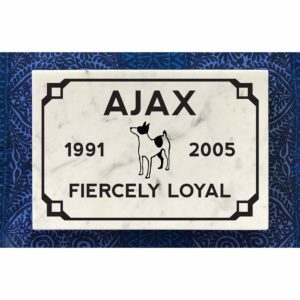 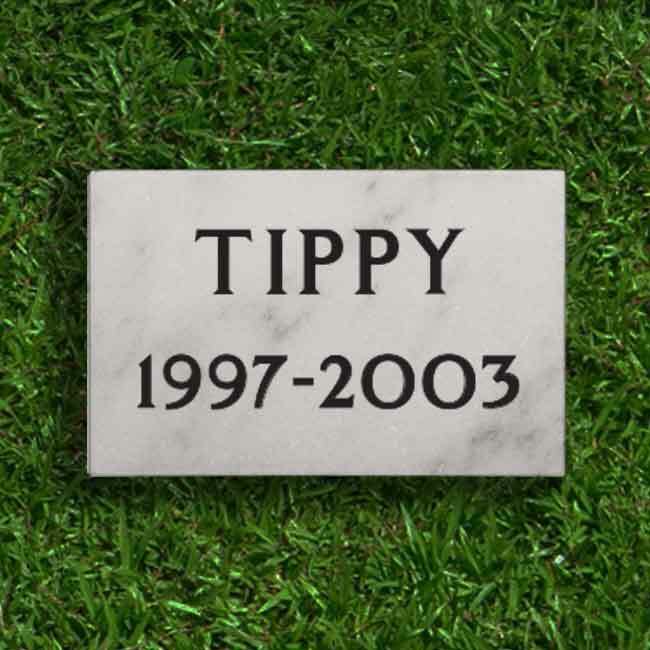 If you’re looking for a memorial for a dog, cat, or other larger animal, please look at the 8″ x 6″ slate tiles. 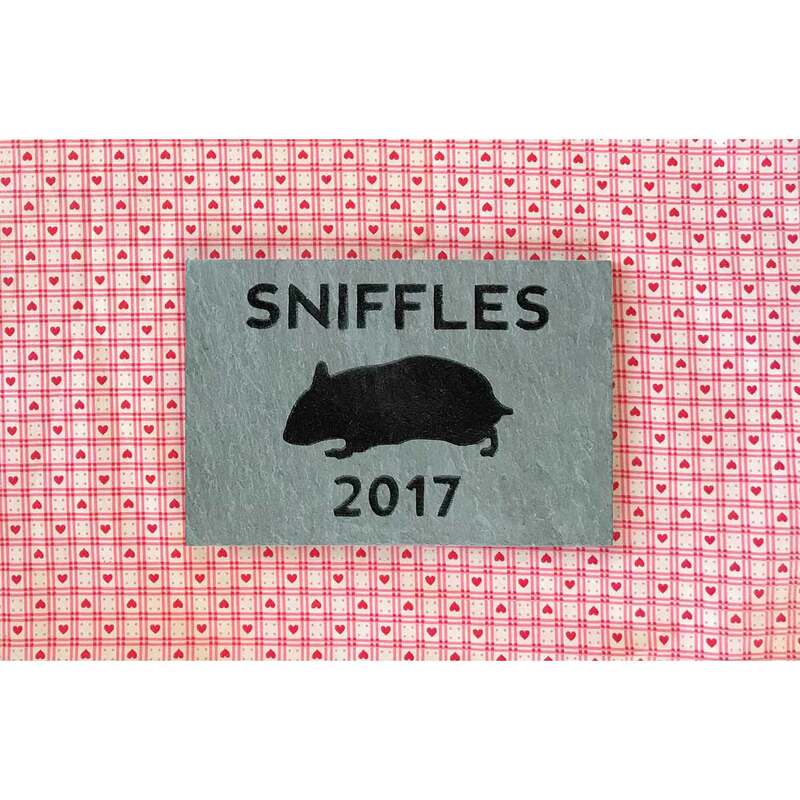 If you don’t see the small animal you’re looking for in our samples, just ask; we’ll do our best to add the silhouette to our library. 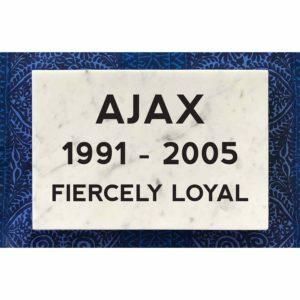 Slate is a natural material that can vary in appearance; each memorial is unique.